Looking for a comprehensive resource to answer your questions about every step of the exporting process? Look no further. Being an accidental exporter is easy. Being a successful one—who makes money, grows a business, and stays out of trouble—takes some work. 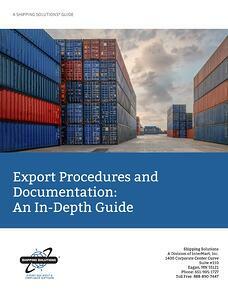 This free guide walks you step-by-step through the major components of the export process including documentation and compliance, so you can be a more confident exporter. The answer to the big question: What is an export? Download this guide now, so can print and reference each section as you need to, when you need to.